By the time Will Smith released Willennium in November 1999, it was fashionable to put him down, especially since he was recovering from his first major stumble, the overblown Wild Wild West. Probably just the fact that he was everywhere made certain spoilsports long to take him down a notch, but Wild Wild West wasn't a mess because of him; in fact, he provided the only glimmers of fun in the whole misguided mess, through sheer star power. And that star power drives Willennium, turning it into a bold, brassy delight. Smith just doesn't care what anyone thinks; he knows he's a superstar, and he revels in his status. He likes to make fun music, and he likes to make it on a grand scale. Furthermore, he has no shame about entertaining. 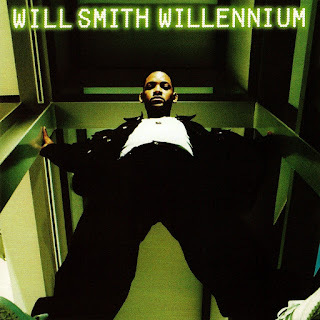 Consequently, Willennium is a gonzo pleasure in the way only a handful of big-budget pop albums can be: gaudy, giddy, infectiously silly, and proudly over-the-top. Case in point, its de facto title track, "Will 2K." Smith and his producers picked the Clash's "Rock the Casbah" as the foundation for an end-of-the-century party jam, a move so mind-bogglingly unpredictable that it's hard not to smile. And that spirit carries throughout the album, as Smith drops lyrical and musical allusions that are at once well-known and totally out of left field. All of this is done to bright, joyful party music that celebrates its big beats and big hooks. Smith isn't quite as convincing when it comes to slow jams, but still his charm shines through. But the heart of the album lies in the up-tempo dance numbers, since they're what make Willennium irresistible. And this is one of the rare times that an abundance of cameos enhances the spirit of an album, making Willennium feel like a Y2K blowout where everyone is invited.